Sonny Mayo started his professional music career in 1995 with the band Snot (Geffen Records) and, in 1998, went on to play in the band Amen (Virgin, Roadrunner Records). Having been in rehab as a teenager, Sonny continued to struggle with alcoholism and drug addiction while touring the world and writing/recording albums. On occasion he was issued ultimatums from his fellow band mates, which would bring brief periods of abstinence, but would inevitably lead to another relapse. Spiraling ever downward, Sonny hit bottom in late 2001. Desperate for sobriety, Sonny sought and received the help he needed in 12 Step fellowships. In January 2002, with less than 30 days sober, he went on his first clean/sober tour in Australia, where Sonny attended 12 Step meetings and began laying the foundation for a whole new experience as a professional musician, and has maintained sobriety ever since. 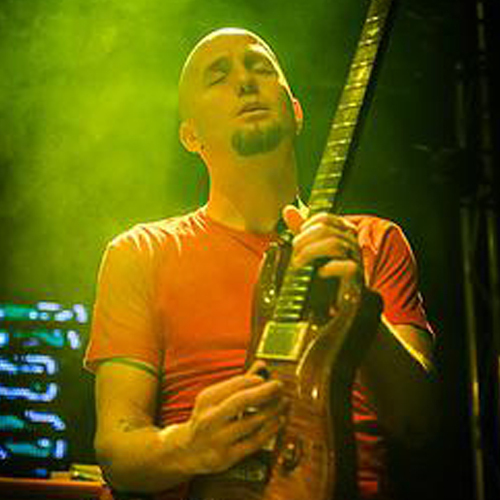 In late 2002 he joined his friend, Wes Geer, as a touring guitarist in the band (hed)P.E. and, in 2005, joined the band Sevendust (TVT, Warner/Asylum Records). In 2009, Sonny attended the Recording Institute Of Technology at Musicians Institute in Hollywood and received a certification in audio engineering. He is a touring guitarist with the band Ugly Kid Joe, a guitar teacher, as well as a music producer, songwriter, and mixer.